We would like to welcome everyone to Lacrosse All Stars’ newest podcast, ‘The Lacrosse Podcast’, hosted by Wood Lacrosse Stick’s Justin Skaggs and Rich Snow, sponsored by STX. 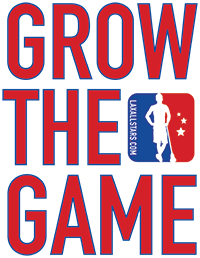 We are excited about the launch of the podcast and welcoming it into the Lacrosse All Stars network of podcasts. This week, we’re bringing you a short promo from the show, as the first episode will be released next Friday with special guest Jake Bernhardt of Team USA Men’s Lacrosse. In the meantime, enjoy as Skaggs and co-host Rich Snow talk about the upcoming NLL opening weekend. Feel free to watch this promo video of the podcast, or listen to the promo on Soundcloud, iTunes, Google Play and right here on the site. Also, be sure to stay tuned for #WoodStickWednesday posts from Wood Lacrosse Sticks every Wednesday. Click here to find more #WoodStickWednesday posts. Be sure to visit the Wood Lacrosse Sticks website here to look at their products.